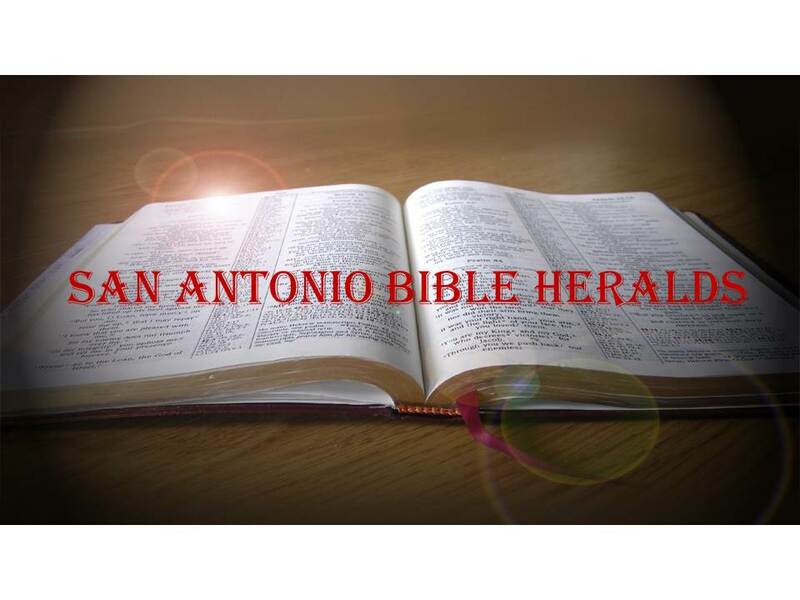 San Antonio Bible Heralds: "I've Done Graduated"
It is unfortunate that the world seems to have the idea that all you have to do to graduate to heaven is die. Ask the typical person on the street what happens when you die, and you'll likely get the answer that you go to heaven, for no other reason than that you've died, "what else would you expect!" People who give nary a thought to eternity during their lives, somehow have convinced themselves that if they just keep their noses clean, they'll be able to go to heaven when they die. No concept of what life is all about, no idea what heaven really is, and definitely no understanding of sin and the need to cleanse it. It should be obvious to anyone paying attention, that the world is awash in sin and corruption. Watch TV or get on your devices and look at social media, and you will not go more than a couple of minutes before you are confronted with some mass shooting, another baby abandoned in a trash can, more abortions, more abuses and on and on it goes. I was recently in a language class where one of the students was making a statement, with all the self-certainty he could muster, that the world has gotten better. Why? Because less people are dying from violence. Talk about having your head in the sand! What should be the response of the Christian to such events? Getting back to the topic of the message I mentioned at the outset, peace is the answer. Of course, the world will give you the same answer. The difference is that the world's concept of peace is simply the absence of anything that makes you uncomfortable. Thus, we see the rush to eliminate anything that makes people feel out of sorts or knocks them out of their comfort zone. You see it in the insistence that nothing should be said or proclaimed that will make people feel "bad." You can't say that anything is sinful or wrong, because that may make someone, somewhere feel bad. And of course, feelings are the most important thing in the world. Truth has been run over in the headlong rush to feel comfortable. The inevitable extreme of such thinking is what we're only beginning to see in this country, but that has gained a good deal of traction in other parts of the Western world. That is the insistence that the government sanction those who do not toe the line of "tolerance." Law makers are in some areas of this country, yes this America, putting forth laws that censure certain speech simply because it bothers other segments of the population. Take for example the law in California that demands that those working in certain facilities use the preferred pronoun for an individual. The idea is that if someone is "transgendered" and he/she wants to be referred to by their transgendered pronoun, you have to accommodate them. Otherwise, you will be sanctioned and are at risk of being fired. So, do we really have peace? Or do we despair that we'll be so caught up in the tide that we'll be washed away without recourse? I can personally tell you that my greatest fear is not that I will be imprisoned or persecuted or sanctioned. My greatest fear is that the push will be so strong, that I will give in and begin to compromise the truth of God. That would be a tragedy to rival any other. And make no mistake about it, that is a real danger. As Paul mentioned in 1 Corinthians 10:12 "let he that thinks he stands, take heed lest he fall." Jesus does grant us peace (John 16:33), and the peace He gives is true peace. May God grant us the endurance to remain faithful to the end. 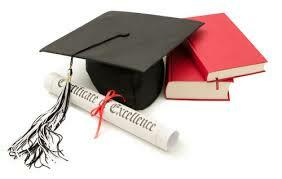 Then we can truly say that we have graduated! So very true. The notion of innate human goodness is woven into every aspect of human existence, including it's false religions. It permeates TV, movies, music and pop culture in general. It is in literature, the secular classroom and is at the root of virtually every notion of social reform. Because men are thought to be intrinsically good (and thus accountable to no Holy Creator God) they extol such wickedness as homosexuality and other deviancy. Where men see no sin in themselves they will never see need of a Savior. David, as always thanks for your comments. It is so obvious that man is depraved and getting worse, that it hardly needs to be stated. Yet, many continue to deny the truth because it is in their interests to do so. Making themselves feel better and believing that humanity is improving, is a necessary prerequisite to believing evolution. Since evolution's primary claim is that the universe has to get better and better, men continue to believe it even in light of the clear evidence to the contrary. I suppose it's an example of not wanting to believe your "lying eyes!" Thanks again.